If, like me, you’re a fan of pesto then you’ll love this. Don’t even think about buying those nasty jars of bizarro pesto combinations that would cause any self respecting Italian to scream in horror, and instead prepare your very own alternative to basil pesto with this strangely named Sicilian recipe. 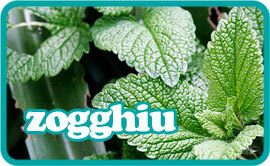 It’s distinctive ingredient is mint which means it goes well with most meat, especially lamb. It’s also good with fish and of course, pasta. Add the parsley, mint and garlic to a food processor and pulse into a thick paste, steadilt pour in olive oil as you go until you reach a salad cream consistency. Don’t over blend. Stir in the white wine vinegar, balsamic vinegar and the chopped capers. Add a little pepper and taste. You may want to add a little salt too if the capers aren’t doing their job. Serve smeared over grilled lamb or fish. Anything you’d use pesto for, use this.